We are all victims of our proclivities. We spend much of our early life defining who we are, distancing ourselves from our parents and our youth. Then, we spend time looking for a mate that is not like us. Why? Because we are bored with ourselves. I was clear in my courting of Kymberlee, choosing someone who was impulsive, enjoyed throwing parties, resourceful, and made random connections with creative people. I also made sure she could drive a stick shift, but that is a subject for another post. The result of this union manifests itself in moments of brilliant clarity. 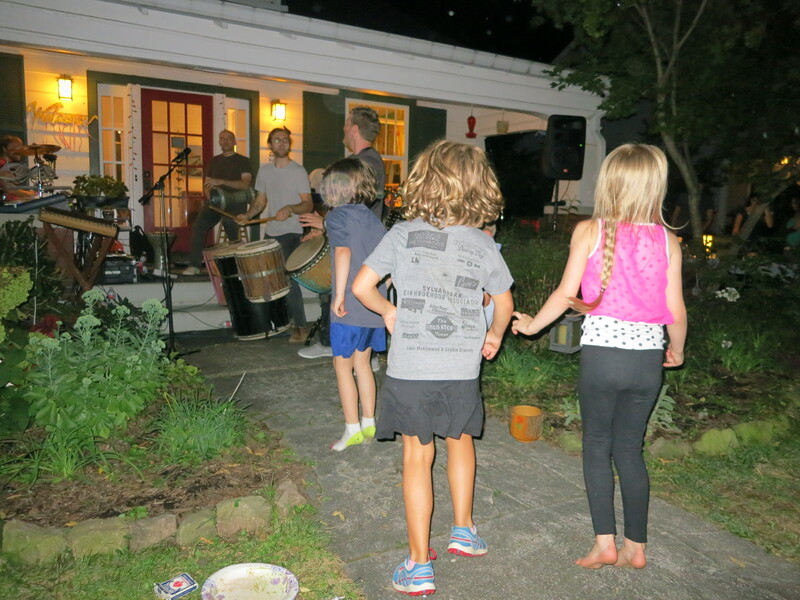 One these moments happened recently, when on a cool, clear summer night, we hosted a house concert with a band, Songs of Water. 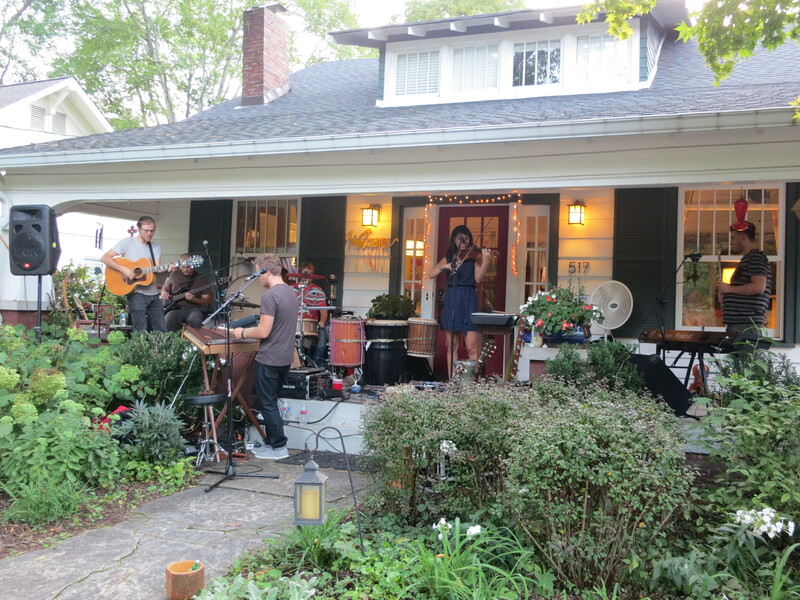 We often talked about having a house concert for the last three years, but we never followed through with this dream. We needed a kickstart, and that is where Kymberlee comes in. We have to go back a couple years and see that while at the Wild Goose Festival, Kymberlee heard this band playing on the main stage as she worked at the beer tent. She loved their music and their musicianship, so she did what she always does – went up and introduced herself to the band and proceeded to make new friends. She gave them our contact information and offered a place to stay if they were ever in the Nashville area. Fast forward to this year in early August. Kymberlee receives an email from the band saying that they are coming through Nashville, need a place to crash, and can do a house concert in return for lodging. Kymberlee gives me a quick call, and I quickly say yes. Now we have just have to plan a Thursday night party, put together invites, figure out where people will sleep, procure drinks, utensils, awnings, and chairs and somehow keep it manageable. We had ten days. I’ll spare you a long description of the night, but it was magical. It was a perfect weather night, coming after 5 days of rain. There were clear skies, low humidity, temperatures in the low 80s, and fireflies waking up as the sun slipped over the horizon. The mix of people that attended represent the special communities that are important to us. 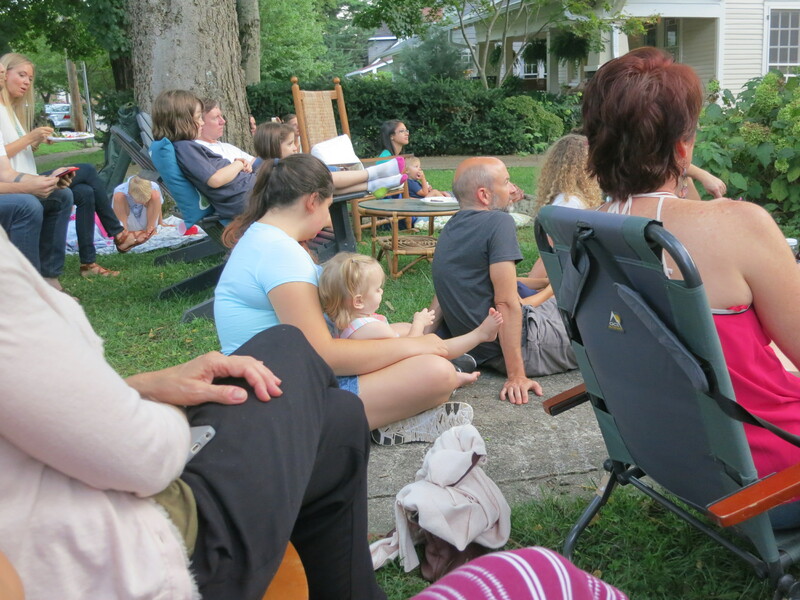 Our neighborhood, our schools, my book club, our personal friends, Kymberlee’s peer group, our church home group, and our other random connections to Nashville. 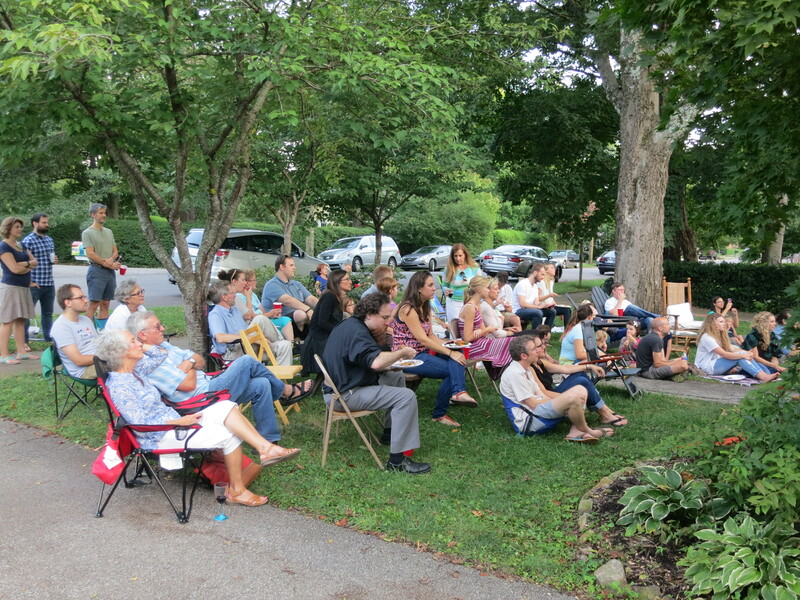 We were able to meet several new neighbors that came over to join us and it was a delight to mix with all these people we know and love while listening to great musicians play to the intimate crowd. We made it children friendly, and the kids made it even richer. Some simply enjoyed listening to the music. 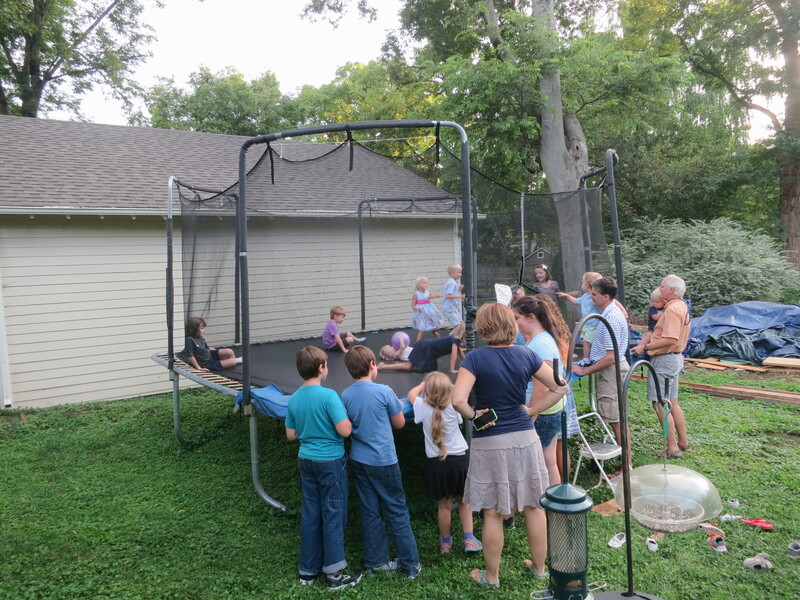 Some were entertained by our trampoline. And some just loved to dance! Once the concert was over, a clean up time was followed by great conversations with some of the band members that well into the night and spilled over to the morning. There is something special about sharing late nights with creative people, which made it a perfect nightcap. And none of this would have happened without Kymberlee. Thanks for making my life a bit more impulsive, fun, and rewarding. I’m sorry, but we can no longer be friends, for you have waaaaaaaaaay superceded us in the Hip-and-Cool department! =-p Sounds magical. And for the record, we’re glad Kymberlee said yes, too! I so wish we could’ve come too! It looked like so much fun! Well, they say opposites attract, and that is also true for BJ and I. It does make for a more interesting marriage I believe (even though it can be frustrating at times 😜), but it helps us to understand others who are different from us. You two compliment each other and God knew exactly what you both needed.